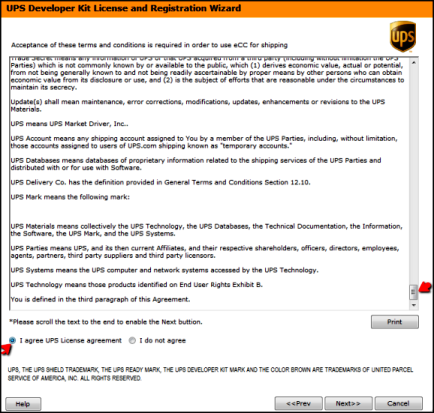 How do I register for the UPS Direct service within Unify Desktop? 1. 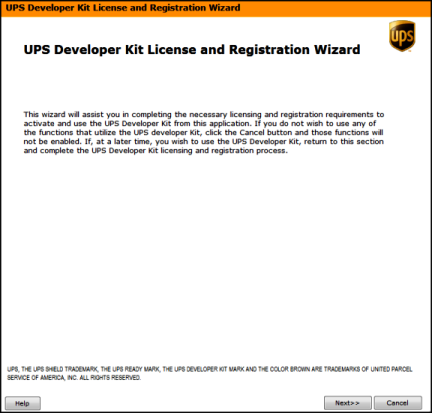 Once you click on register, the UPS License wizard will pop up. Click Next to Proceed. 2. You will now be presented with the Terms and Conditions screen. To proceed further, you have to read through the whole terms and conditions section, scroll right to the end, click on "I agree", and then click on the next button. Until all this is done, the next button shall not be enabled. 3. 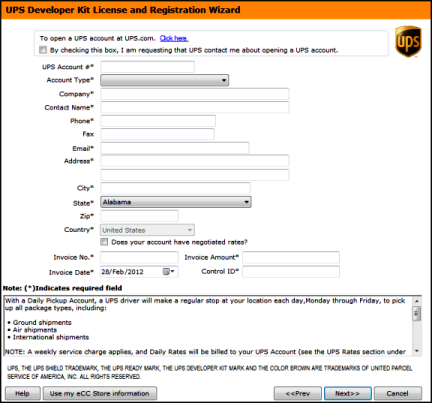 You will now be presented with a screen wherein you can enter your UPS account details. Please note that fields with a * are compulsory and have to be filled in with the same details as in the UPS account. You can also bring in the information that you filled in the Unify Desktop Store Information screen, by clicking on "Use my Unify Desktop Store Information". 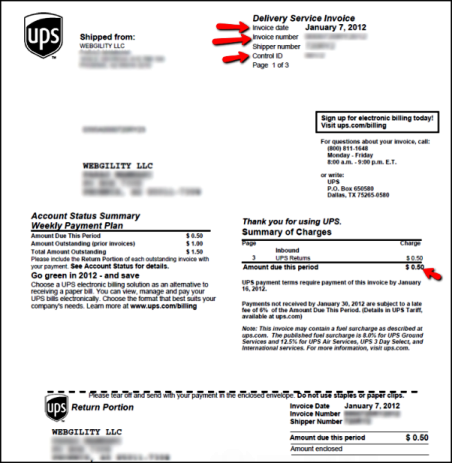 Please remember to select the correct UPS account type. 4. Fill all the information obtained from the invoice into the box in Step 3 above and click on Next. 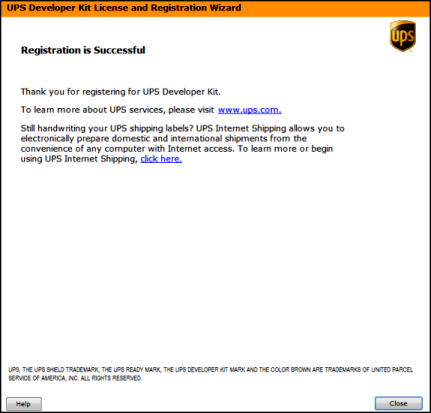 If all your information is correct and matched with your UPS account, you will see the "Registration Successful" as below.